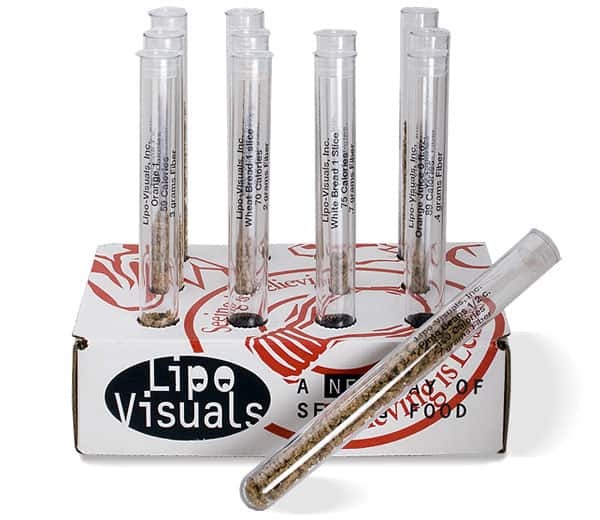 Fiber-Visuals 12 pack teaching tubes were the first fiber fact nutritional test tubes. They show the comparison of high and low fiber foods. The average American consumes approximately 12 grams of fiber every day. Diets rich in daily dietary fiber can help reduce the risk certain medical problems such as colon and other cancers, diabetes, and cardiovascular disease. 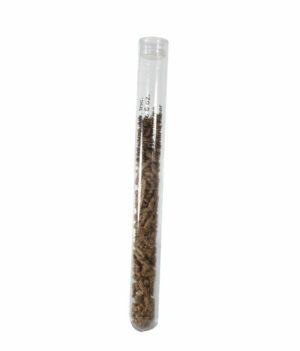 35 grams or more is recommended for optimal health.